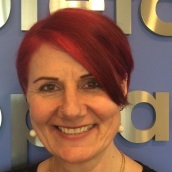 Hi, I’m Julie, I have recently joined the team here at Stapleton Chiropractic and looking forward to meeting and greeting all of you when you come to the practice for care. I have always been interested in ultimate health and wellbeing to live my life to its fullest extent. To be part of the Stapleton Chiropractic team is very rewarding and fulfilling for I have a great interest in the care of people and to view the positive outcome of client’s improvement throughout their care to continue a more productive life. I have played a range of sports including athletics, netball and basketball from age of 7 throughout my life and realise the importance of looking after the wellness of your body and Chiropractic Spinal care. I enjoy the outdoor lifestyle especially the beach, love music and catching up with friends and family on weekends. My motto is simply Live, Laugh, Love.